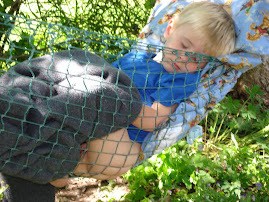 Too Much To Do About Nothing: Sleep baby sleep! After all of my whining and complaining Aliya took pity on me. She now sleeps through the night- and I do mean all night. Last night it was 10:30p.m. to 10:30a.m. when I then had to wake her up to make sure she was still breathing! Now if I can just quit waking up at 5:00 anyway......!